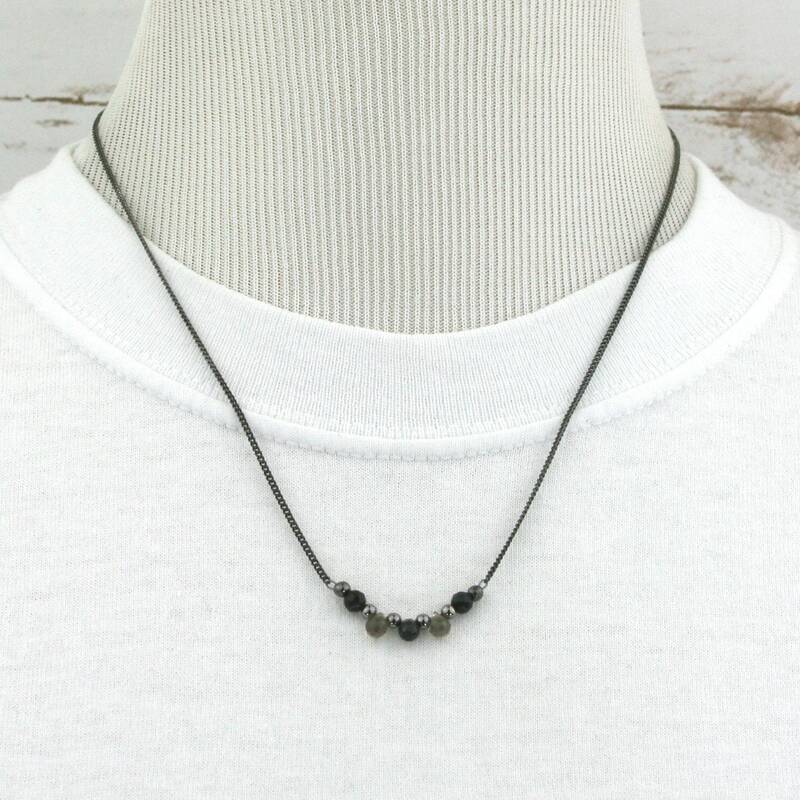 This necklace consists of a black spinel briolette flanked by two smoky quartz briolettes and a pair of faceted black agate beads. 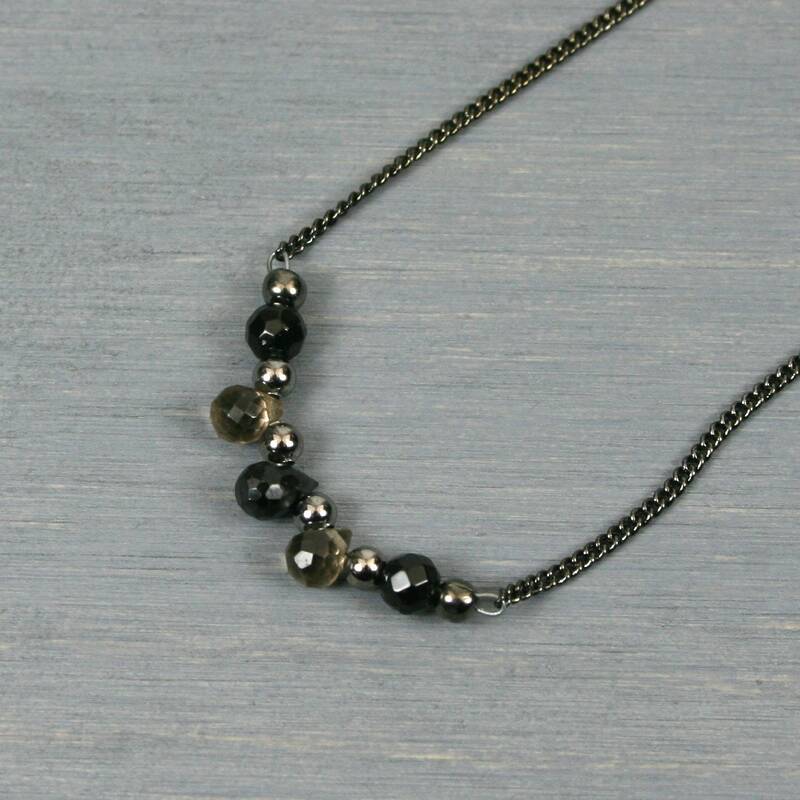 All gemstone beads are separated by 3 mm gunmetal plated round beads. The faceted briolettes are 6 mm long by 4 mm wide. 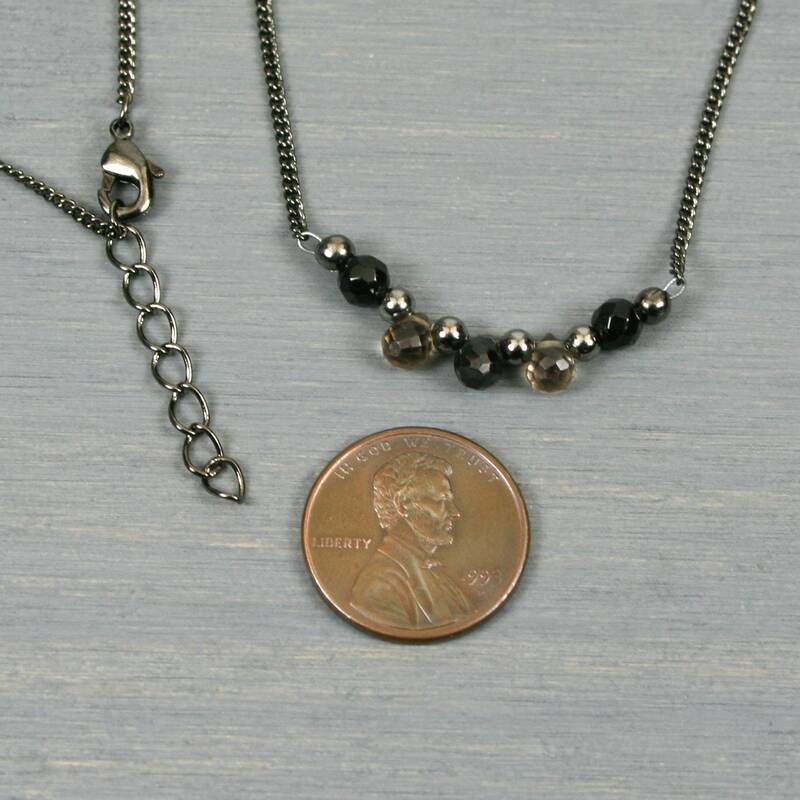 The beads are strung on wire that is attached to gunmetal plated curb chain. The chain is 19.5 inches long with a lobster clasp closure and a 1 inch extender chain. 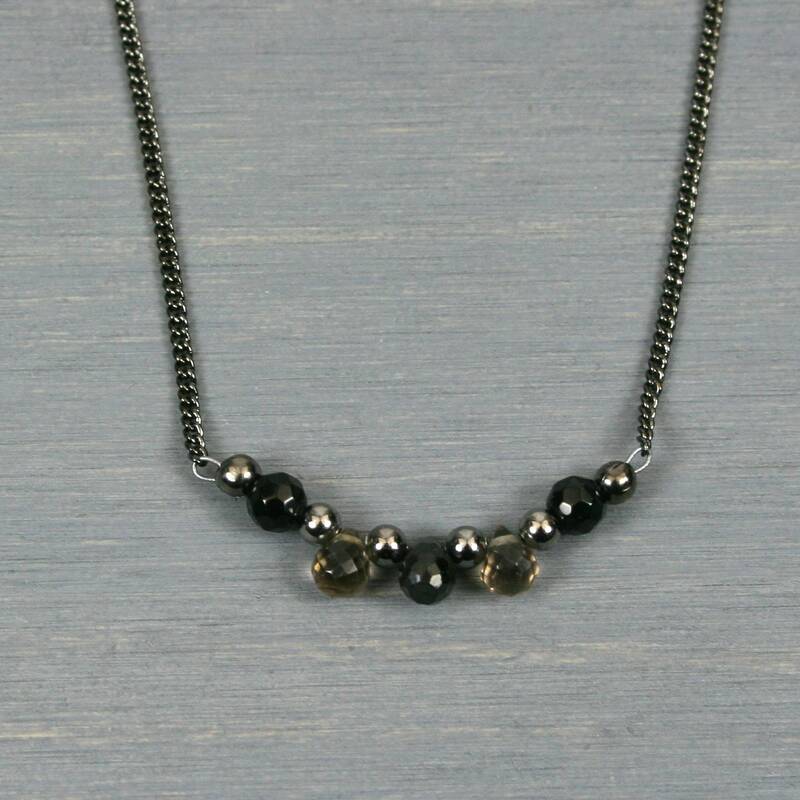 Note that the tip of one of the smoky quartz briolettes is not as pointed as the other. This item has already been discounted to acknowledge this defect. 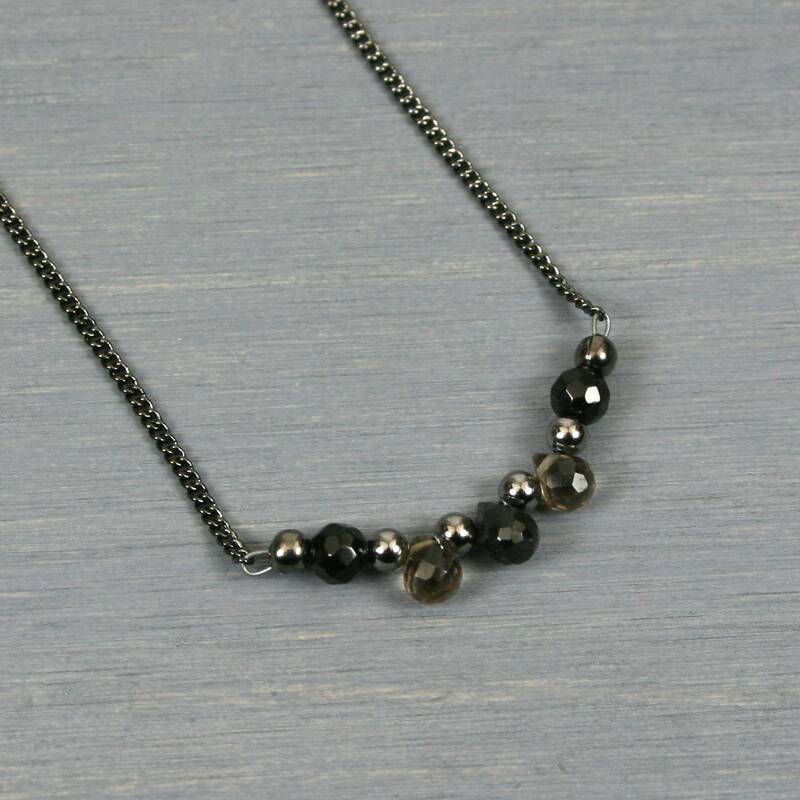 Black spinel is one of the birthstones associated with the month of August (along with peridot).